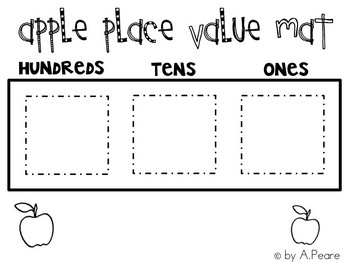 This unit contains two games to help students practice place value. The first game is called "Apples to Apples." 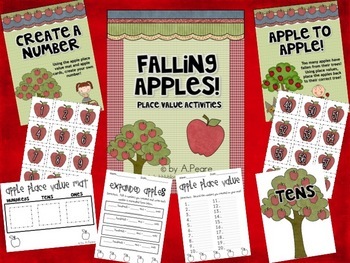 Students will draw an apple number card, read the number, and decide which place value tree it belongs to, based on the underlined digit. This game contains numbers 1-200, which allows the teachers the ability to control the level of the game. There is also a matching recording sheet. The second game is called "Create a Number." 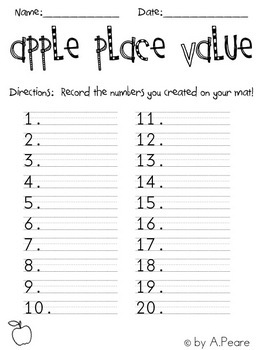 Students will draw an apple number cards (0-9) and using the apple place value mat, create a one to three digit number. Students will then record their answer on the matching recording sheet. 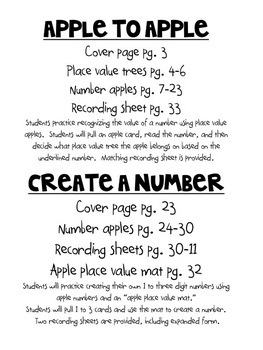 For an extension, students will record the numbers they created into expanded form.